Norwich has a rich history of native sons, daughters, and a plethora of historical sites. Helping to preserve and promote the story of these local treasures is a daunting task. The Norwich Historical Society has faithfully worked to these ends over the past several decades. From Benedict Arnold to CT Civil War Governor William Buckingham, Uncas Leap to the Millionaires Triangle, and everything in between, there is a lot to be told and a lot to be developed to help save our past into our future. It is a monumental undertaking year in and year out. Would you help us to keep the progress of the Norwich Historical Society moving forward into the future? 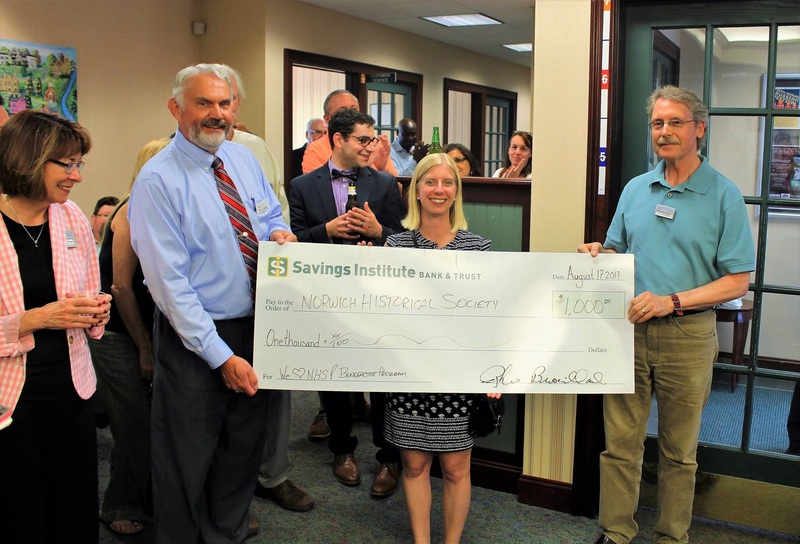 To this end we have developed the Norwich Historical Society Benefactor Program. This program not only assists us in a very important way to continue our mission, it also recognizes the businesses, organizations, and individuals for their commitment to the importance of our community’s past. Details are included in the accompanying flyer. Sponsorships are tax deductible. Won’t you help with this important endeavor? Thank you in advance for your consideration. Logo, slightly smaller than Platinum, on web site with link and on Benefactor Sign. Name listed on web site and Benefactor Sign. No logo or link.